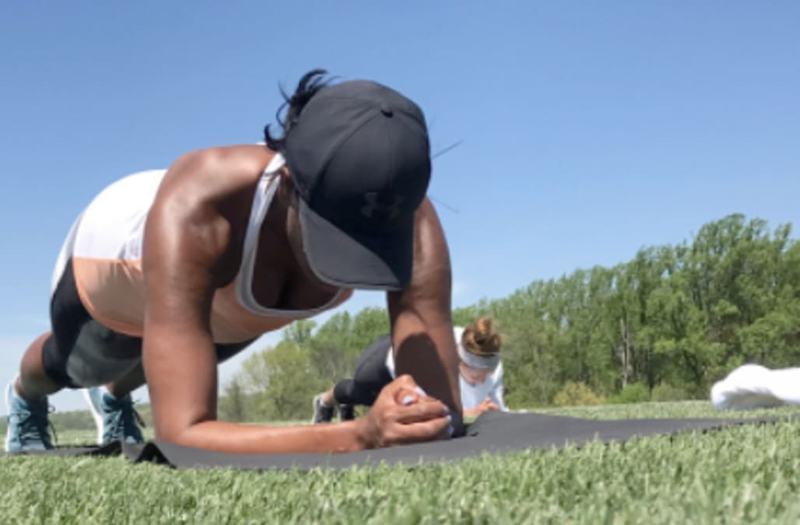 Michelle Obama is still the fitness goddess we knew her to be, thanks in part to the Let's Move program she led during her time in the White House. Despite being at a different address, she's proving that her fitness mission isn't over. The former first lady posted a series of pictures on Instagram of herself along with her friends, where she hosted a "bootcamp weekend." In her post she wrote, "When I was at the White House, I often hosted bootcamp weekends for my close girlfriends ... Our bootcamp weekends were a reminder that if we want to keep taking care of other, we need to take care of ourselves first." Obama encouraged her followers to keep active even as the weather gets warmer. In the photos the former first lady can be seen in a few strengthening positions, including lunges and planks.